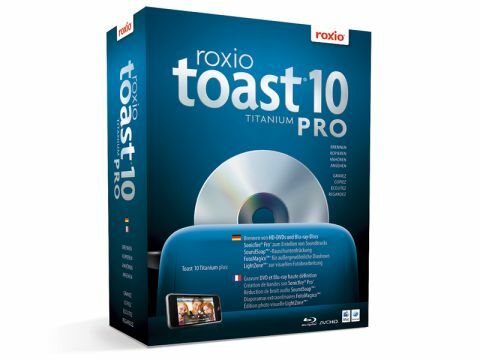 Roxio Toast has been the number one burning tool of choice for the Mac OS for over ten years, with this latest edition being largely an update rather than a major overhaul. Roxio offer two versions, with Titanium (£80 inc. VAT) being the basic suite, while this, the Pro edition, includes four extra applications that enhance the photo, audio and video editing capabilities. The layout is straightforward and emphasises the multimedia aspect of the software. Five taskbars run along the top of the screen covering Data, Audio, Video, Copy and Convert. Select one and a sub-menu appears below the tabs allowing you to choose specific tasks. Many of the new features centre around HD video. For instance, you can now archive AVCHD video directly from your camcorder to disc, while at the same time create a preview version that is stored on your laptop's hard drive. Then there are the new video extraction tools, which allow you to copy video clips directly from a DVD. You can do the same with online video for viewing from your hard drive or iPod. Perhaps the most cost-effective new tool is condensing a dual-layer disc to fit on a cheaper single layer DVD, something we found worked very well. Blu-ray support is now an integral part of the package. Setting up the advanced features wasn't as easy as we would like, as you need to install the Blu-ray plug-in, costing an extra £15 (inc. VAT). While Roxio Toast remains the best DVD burning suite for Mac users, there is little in this version that will make those already using Toast 9 want to upgrade.